I love having the opportunity to write about those small things which bring joy to my life and thank Lexa Cain for providing this opportunity. In our world today its so easy to have our attention drained away by unwanted events, ideas, situations and even people. It is so important to deliberately choose the focus of our energy. There are times however, when I start to write a CST post on one topic, then become aware of a small element of my day to day life which I have overlooked. 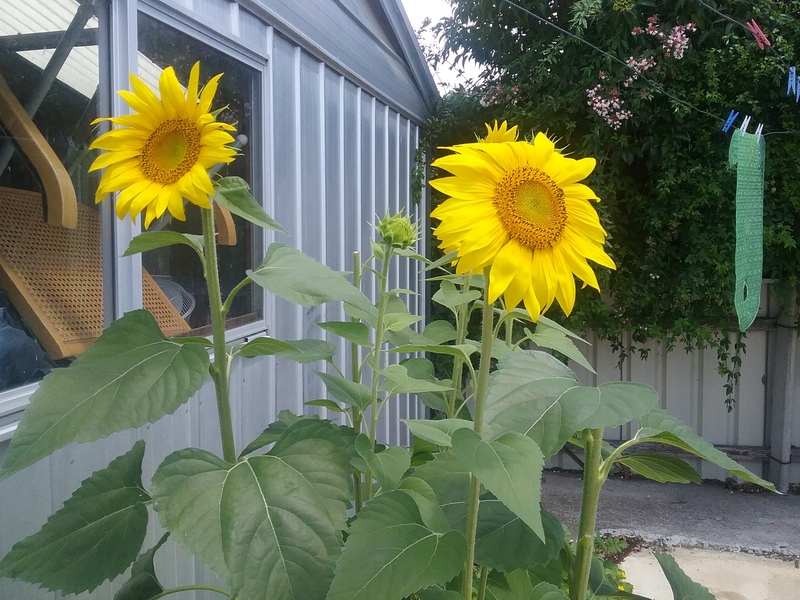 Take sunflowers for example, the word itself makes me smile. They are those tall, golden plants which resemble the sun god Helios, and are intimately connected with his rays. They are a defiantly proud flower which can never be overlooked in any garden. When I studied flower essences some years ago, I learnt about their healing properties. Here in my Son and Daughter in law’s home in Canberra, they caught my eye this week. On my own with the family on a camping holiday, I’ve had time to notice their brilliance unfolding in the hot sun and stormy rain. When studying the healing property of each flower’s inherent essence, I also learnt to ask the flower’s permission before cutting it. After all, these are vibrant, sentient creations which were are claiming for their beauty. 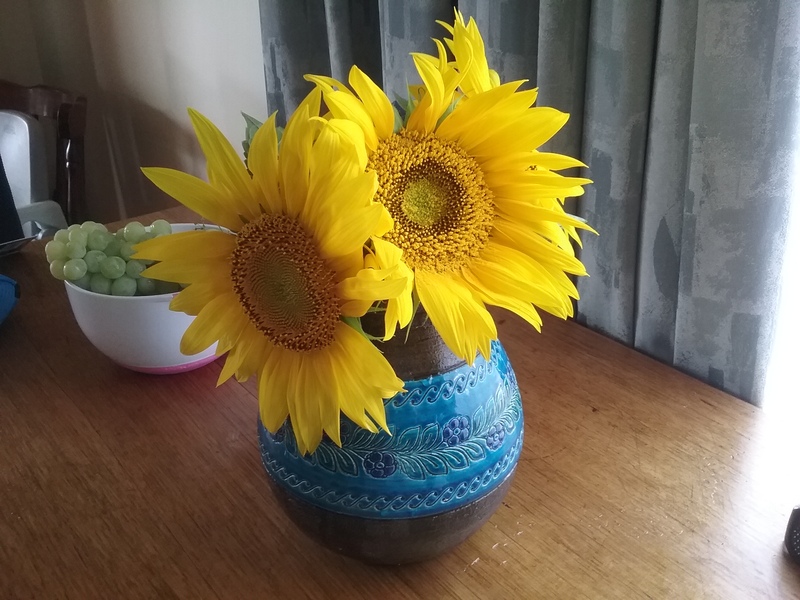 The vase of sunflowers lasted all week and I placed them in front of me so that they were in my constant view as I wrote or ate or just sat with a cup of tea. I am very grateful for their magnificence. The color is amazing. I’ve always loved yellow – the brilliance – you have to smile! 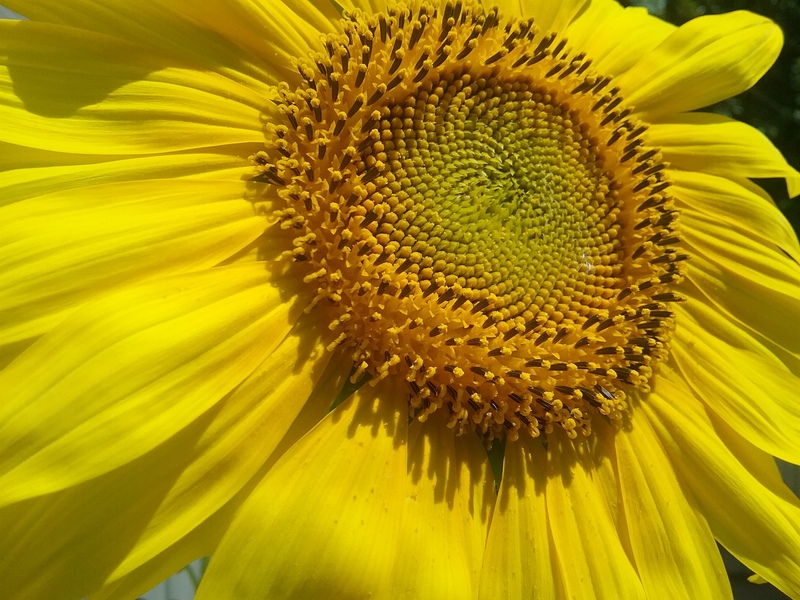 Sunflowers are one of my favorite as well. They’re like bright, smiling sunshine faces. Too bad it will be awhile before they bloom this year. Love the photos! 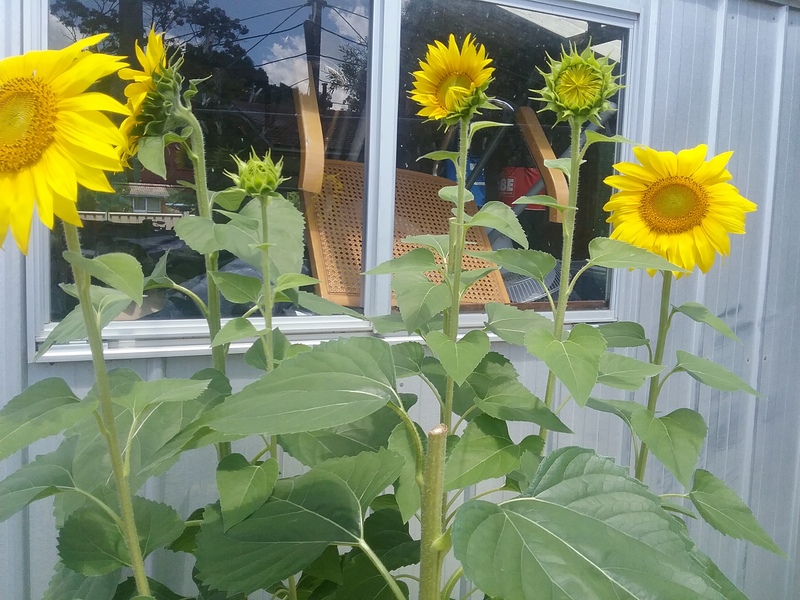 Sunflowers are so bright and cheerful. I could use some of that bright color to liven up these gray winter days.